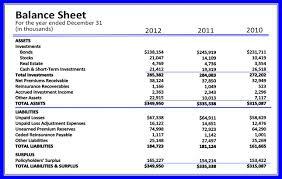 Major objective of this article is to Define and Discuss on Balance Sheets. The balance Sheet lists all assets and liabilities how the company has, both tangible and intangible. This helps to assess the company’s debt situation and the amount of of the valuation is stored by assets. Furthermore it is split into current and non-current assets and debts, which helps to see how liquid the company is actually. Therefore the balance sheet is very useful in assessing a company’s debt situation, and also how much of it is share price or market capitalisation is stored by assets.